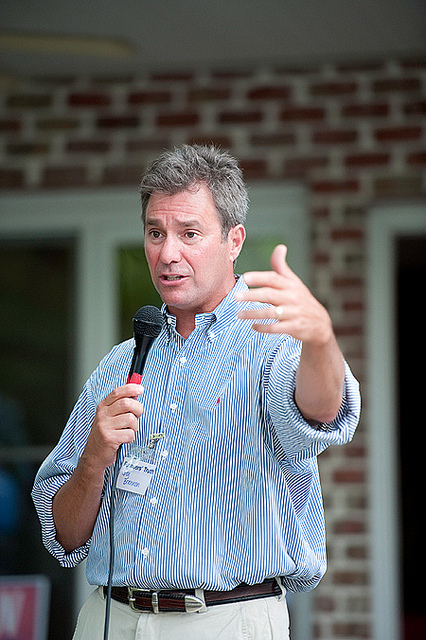 Today we have news of the first entrant into the ’14 Senate race, Dr. Greg Brannon of Cary, who officially announced his plans this morning. Dr. Brannon’s aspirations have seemingly gone unnoticed by much of the media. Perhaps this is because Dr. Brannon has never held elected office and is therefore not seen as a particularly serious candidate. It would be a mistake, however, for obsevers of N.C. politics to underestimate Dr. Brannon. It is all but certain that the Tea Party will be a major factor in the Republican primary for Hagan’s seat, and it is possible that Dr. Brannon might be the Tea Party candidate. It remains to be seen how successful Dr. Brannon will be at rallying support and raising the necessary funds to run for office. But the Tea Party, while wounded from its recent defeats, is still influential in the state. The desire for a “true conservative” who will not compromise with the Washington establishment is stronger than ever. Those who also wish to challenge Hagan should make a substantial effort to garner their support.